An international team led by astronomers in Brazil has used ESO’s Very Large Telescope to identify and study the oldest solar twin known to date. Located 250 light-years from Earth, the star HIP 102152 is more like the Sun than any other solar twin — except that it is nearly four billion years older. This older, but almost identical, twin gives us an unprecedented chance to see how the Sun will look when it ages. The new observations also provide an important first clear link between a star’s age and its lithium content, and in addition suggest that HIP 102152 may be host to rocky terrestrial planets. This image tracks the life of a Sun-like star, from its birth on the left side of the frame to its evolution into a red giant star on the right. On the left the star is seen as a protostar, embedded within a dusty disc of material as it forms. It later becomes a star like our Sun. After spending the majority of its life in this stage, the star's core begins to gradually heat up, the star expands and becomes redder until it transforms into a red giant. The above image is illustrative; the ages, sizes, and colours are approximate (not to scale). The protostar stage, on the far left of this image, can be some 2000 times larger than our Sun. The red giant stage, on the far right of this image, can be some 100 times larger than the Sun. Astronomers have only been observing the Sun with telescopes for 400 years — a tiny fraction of the Sun’s age of 4.6 billion years. It is very hard to study the history and future evolution of our star, but we can do this by hunting for rare stars that are almost exactly like our own, but at different stages of their lives. Now astronomers have identified a star that is essentially an identical twin to our Sun, but 4 billion years older — almost like seeing a real version of the twin paradox in action . This image shows solar twin HIP 102152, a star located 250 light-years from Earth in the constellation of Capricornus (The Sea Goat). HIP 102152 is more like the Sun than any other solar twin — apart from the fact that it is nearly four billion years older, giving us an unprecedented chance to study how the Sun will look when it ages. It is the oldest solar twin identified to date, and was studied by an international team using ESO’s Very Large Telescope, led by astronomers in Brazil. The different colours of the star are caused by the star moving slightly between the two exposures, many years apart. The team studied two solar twins  — one that was thought to be younger than the Sun (18 Scorpii) and one that was expected to be older (HIP 102152). They used the UVES spectrograph on the Very Large Telescope (VLT) at ESO's Paranal Observatory to split up the light into its component colours so that the chemical composition and other properties of these stars could be studied in great detail. They found that HIP 102152 in the constellation of Capricornus (The Sea Goat) is the oldest solar twin known to date. It is estimated to be 8.2 billion years old, compared to 4.6 billion years for our own Sun. On the other hand 18 Scorpii was confirmed to be younger than the Sun — about 2.9 billion years old. Lithium, the third element in the periodic table, was created in the Big Bang along with hydrogen and helium. Astronomers have pondered for years over why some stars appear to have less lithium than others. With the new observations of HIP 102152, astronomers have taken a big step towards solving this mystery by pinning down a strong correlation between a Sun-like star’s age and its lithium content. Our own Sun now has just 1% of the lithium content that was present in the material from which it formed. Examinations of younger solar twins have hinted that these younger siblings contain significantly larger amounts of lithium, but up to now scientists could not prove a clear correlation between age and lithium content . Many people have heard of the twin paradox: one identical twin takes a space journey and comes back to Earth younger than their sibling. Although there is no time travelling involved here, we see two distinctly different ages for these two very similar stars — snapshots of the Sun’s life at different stages. Solar twins, solar analogues and solar-type stars are categories of stars according to their similarity to our own Sun. Solar twins are the most similar to our Sun, as they have very similar masses, temperatures, and chemical abundances. Solar twins are rare but the other classes, where the similarity is less precise, are much more common. Previous studies have indicated that a star’s lithium content could also be affected if it hosts giant planets (eso0942, eso0118,Nature paper), although these results have been debated (ann1046). It is still unclear exactly how lithium is destroyed within the stars, although several processes have been proposed to transport lithium from the surface of a star into its deeper layers, where it is then destroyed. If a star contains less of the elements that we commonly find in rocky bodies, this indicates that it is likely to host rocky terrestrial planets because such planets lock up these elements as they form from a large disc surrounding the star. The suggestion that HIP 102152 may host such planets is further reinforced by the radial velocity monitoring of this star with ESO's HARPS spectrograph, which indicates that inside the star’s habitable zone there are no giant planets. This would allow the existence of potential Earth-like planets around HIP 102152; in systems with giant planets existing close in to their star, the chances of finding terrestrial planets are much less as these small rocky bodies are disturbed and disrupted. This research was presented in a paper to appear in “High precision abundances of the old solar twin HIP 102152: insights on Li depletion from the oldest Sun”, by TalaWanda Monroe et al. in the Astrophysical Journal Letters. The team is composed of TalaWanda R. Monroe, Jorge Meléndez (Universidade de São Paulo, Brazil [USP]), Iván Ramírez (The University of Texas at Austin, USA), David Yong (Australian National University, Australia [ANU]), Maria Bergemann (Max Planck Institute for Astrophysics, Germany), Martin Asplund (ANU), Jacob Bean, Megan Bedell (University of Chicago, USA), Marcelo Tucci Maia (USP), Karin Lind (University of Cambridge, UK), Alan Alves-Brito, Luca Casagrande (ANU), Matthieu Castro, José-Dias do Nascimento (Universidade Federal do Rio Grande do Norte, Brazil), Michael Bazot (Centro de Astrofísica da Universidade de Porto, Portugal) and Fabrício C. Freitas (USP). Prof. Cheng Chin and his UChicago associates have simulated the impossibly hot conditions that followed the big bang within an ultracold vacuum chamber in his sub-basement laboratory in the Gordon Center for Integrative Science. The combined computing power of 200,000 private PCs helps astronomers take an inventory of the Milky Way. The Einstein@Home project connects home and office PCs of volunteers from around the world to a global supercomputer. Using this computer cloud, an international team lead by scientists from the Max Planck Institutes for Gravitational Physics and for Radio Astronomy analysed archival data from the CSIRO Parkes radio telescope in Australia. Using new search methods, the global computer network discovered 24 pulsars – extraordinary stellar remnants with extreme physical properties. These can be used as testbeds for Einstein's general theory of relativity and could help to complete our picture of the pulsar population. Large and sensitive radio telescopes are required to discover the weak signals from new pulsars. Knispel and his colleagues analysed data from the Parkes Multi-beam Pulsar Survey, conducted from 1997 to 2001, with the 64-meter antenna of CSIRO's Parkes radio telescope in southeast Australia. “The search for new radio pulsars is very computer intensive. To determine the a priori unknown characteristics of the pulsar, e.g., its distance or its rotation period, we have to very finely comb through wide parameter ranges,” says Knispel. Each week, 50,000 volunteers from around the world “donate” idle compute cycles on their 200,000 home and office PCs to Einstein@Home. Together they combine to yield a sustained computing power of around 860 teraFLOPs per second. This places Einstein@Home on par with the world's fastest supercomputers. The analysis of the archival Parkes data was completed in eight months, while the same task would have taken a single CPU core more than 17,000 years. Pulsars in binary systems are of particular interest to the astronomers. That is because these objects allow insights into their formation history and because they can be used as testbeds for Einstein's general theory of relativity. However, discovering them is even more computationally demanding than the already challenging task of finding isolated pulsars. Tracking down their complex signals in the data increases the computing costs that far exceeds the computing capacities at the two Max Planck Institutes. Out of the 24 pulsars discovered by Einstein@Home, six are in binary systems orbiting the common centre of mass with their stellar partner. These systems form only under very specific astrophysical conditions, which the scientists can now reconstruct more precisely. One of the newly discovered pulsars has an unusually long orbital period of about 940 days – the fourth longest known. In the future, it could be used as a testbed for Einstein's general theory of relativity. Some of the pulsars that were discovered appear to switch off their radio emission for some minutes or hours. “This phenomenon has been observed before, but it is not yet fully understood. Further investigations could help to improve our understanding of the processes in the pulsars' strong magnetic fields, which power their radio emission,” says Eatough. It is not only important to find these exceptional objects, but also to discover “normal” pulsars. The Parkes Multi-beam Pulsar Survey is often used as reference for numerical simulations of our Galaxy's pulsar population. Only by finding all pulsars hidden in the data, can astronomers draw precise conclusions about the entirety of pulsars in the Milky Way. “Our discoveries prove that distributed computing projects like Einstein@Home can play an important role in modern, data-based astronomy,” says Bruce Allen, director of Einstein@Home and director at the AEI. “We expect distributed computing to become increasingly important for astronomical data analysis in the future. Einstein@Home is also very well prepared for the increasing mobility of computing power,” says Allen. Recently, volunteers can not only sign up their PCs for the project, but also help to find new radio pulsars with their Android-based smartphones and tablets. This distributed volunteer computing project connects PC users from all over the world, who voluntarily donate spare computing time on their home and office computers. It has more than 340,000 participants and is one of the largest projects of this kind. Scientific supporters are the Center for Gravitation and Cosmology at the University of Wisconsin-Milwaukee and the Max Planck Institute for Gravitational Physics (Albert Einstein Institute, Hanover) with financial support from the National Science Foundation and the Max Planck Society. Since 2005, Einstein@Home has analysed data from the gravitational wave detectors within the LIGO-Virgo-Science Collaboration (LVC) for gravitational waves from unknown, rapidly rotating neutron stars. 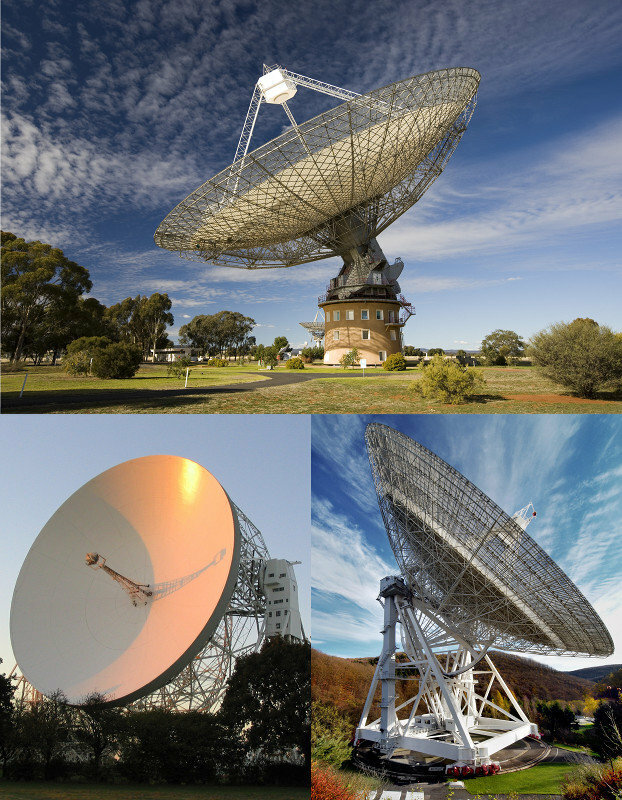 Since March 2009, Einstein@Home has also been involved in the search for signals from radio pulsars in observational data from the Arecibo Observatory in Puerto Rico and CSIRO's Parkes radio telescope in Australia. Since the first discovery of a radio pulsar by Einstein@Home in August 2010, the global computer network has discovered almost 50 new radio pulsars. A new search for gamma-ray pulsars in data of the Fermi satellite was added in August 2011; the project is looking for, among other things, the first millisecond pulsar, visible only in the gamma-ray range. Submarine canyons play an important role in maintaining high levels of biodiversity of small invertebrates in the seafloor sediments of the main and northwestern Hawaiian Islands, according to research from the University of Hawai‘i at Mānoa. What’s more, scientists have used this data to draw new connections between the levels of faunal diversity and the heterogeneity of submarine canyon landscapes at various spatial scales. Credit: University of Hawai‘i at Mānoa. De Leo and colleagues, including oceanography professor Craig Smith, the study’s principal investigator (PI), conducted 34 submersible dives into six underwater canyons and their nearby slopes. Plumbing depths of up to 1,500 meters (~5,000 feet), their study area ranged across the Hawaiian archipelago, from the main Hawaiian Islands through Papahānaumokuākea Marine National Monument in the Northwestern Hawaiian Islands. The scientists evaluated and mapped landscape metrics of each canyon habitat, including the roughness of the seafloor and the steepness of canyon walls. At depths of 350, 650, and 1,000 meters in each location, they collected sediment core samples on the canyon floor. From these samples, they carefully sorted out and identified all of the marine organisms called macrobenthos—including worms, clams and shrimp-like crutaceans— that range in size from a millimeter to several centimeters. The scientists then correlated the macrobenthos species data with the landscape metrics. View of the sediment coring process, from inside the submersible. The scientists found that submarine canyons can serve as species oases in the sea by channeling ocean currents, capturing and trapping sinking particles, funneling migrating animals, and generally providing a varied physical landscape. As a result, canyons promote high species diversity. One thing that became evident from this study was that canyons near the main Hawaiian islands tended to collect and hold much more land-based organic matter than canyons in the Northwestern Hawaiian Islands. Materials such as branches, leaves, nuts and algae were abundant off Moloka‘i and O‘ahu, washed into the ocean by rain and carried out deep onto the canyon floors by ocean currents. These decomposing materials, scarcer in the islands of Nihoa and Maro Reef, serve as valuable food sources for the seafloor invertebrates, themselves a food source for other, larger fish. The scientists have already documented four new species discovered during the course of their research dives, including three new types of crustaceans. Up to 60 percent of the species that taxonomists identified in the submarine canyon seafloor samples are only recognized to the family level. This series of dives was conducted on the Pisces IV and Pisces V manned submersibles operated by the Hawai‘i Undersea Research Laboratory (HURL). The research was conducted in partnership with Hawai‘i Pacific University and the New Zealand National Institute of Water and Atmospheric Research. Citation: Fabio C. De Leo, E.W. Vetter, C. R. Smith, A. R. Ashley, and M. McGranaghan. Spatial scale-dependent habitat heterogeneity influences submarine canyon macrofaunal abundance and diversity off the Main and Northwest Hawaiian Islands. Deep Sea Research Part II: Topical Studies in Oceanography. 11 July 2013. There are 633,000 homeless people in America, many of whom have a high risk of contracting tuberculosis, a lethal disease that attacks the lungs. In Los Angeles' Skid Row neighborhood alone, more than 4,500 people have been exposed to tuberculosis, or TB. Now, scientists at the UCLA School of Medicine have uncovered a medical mystery that may help the homeless in the United States and millions across the globe. “[Tuberculosis] is a very contagious disease. It’s something you can catch in the elevator. If someone coughs, they can spread the bacteria to you,” said Dr. Robert Modin, a microbiologist at UCLA. TB is difficult to fight mainly because it has learned to hide out in the body disguised as a virus. “These bacteria are wolf in sheep’s clothing and the immune system is tricked in how it detects it,” explained Dr. Modin. Normally, the immune system releases a protein called interferon gamma when it detects bacteria in its system. The interferon gamma helps to destroy the invading bacteria. But UCLA's researchers found that when bacteria act like viruses, the immune system is fooled into launching an attack using a different protein called interferon beta, which is designed to kill viruses, not bacteria. Undeterred by the interferon beta, TB bacteria can grow and multiply without being attacked by the immune system. TB kills 1.4 million people worldwide each year and is very similar to the bacterium that causes leprosy, which continues to affect hundreds of thousands of people around the globe. Scientists are hopeful that this discovery will improve the treatment of both diseases. Now that scientists know TB's secret and have been successful in stopping TB in the lab, they hope to stop it in people. European hunter-gatherers acquired domesticated pigs from nearby farmers as early as 4600 BC, according to new evidence. The international team of scientists, including researchers at Durham and Aberdeen universities, showed there was interaction between the hunter-gatherer and farming communities and a 'sharing' of animals and knowledge. The interaction between the two groups eventually led to the hunter-gatherers incorporating farming and breeding of livestock into their culture, say the scientists. Lead author, Dr Ben Krause-Kyora, from Christian-Albrechts University in Kiel, Germany, said: "Mesolithic hunter-gatherers definitely had dogs, but they did not practise agriculture and did not have pigs, sheep, goats, or cows, all of which were introduced to Europe with incoming farmers about 6000BC. Having people who practised a very different survival strategy nearby must have been odd, and we know now that the hunter-gathers possessed some of the farmers' domesticated pigs." Co-author, Dr Greger Larson, from the Department of Archaeology at Durham University, added: "Humans love novelty, and though hunter-gatherers exploited wild boar, it would have been hard not to be fascinated by the strange-looking spotted pigs owned by farmers living nearby. It should come as no surprise that the hunter-gatherers acquired some eventually, but this study shows that they did very soon after the domestic pigs arrived in northern Europe." The research was led by Christian-Albrechts University, Germany and involved researchers from Durham University, UK; University of Aberdeen, UK; Natural History Museum, UK; Archäologisches Landesmuseum Schloss Gottorf, Germany; University Hospital Schleswig-Holstein, Germany; Graduate School Human Development in Landscapes, Germany. The project received funding from the Natural Environment Research Council (NERC) and the Graduate School 'Human Development in Landscapes'. Writer and explorer Sy Montgomery is delving into the mind of the world’s most intelligent invertebrate, and bringing back stories to tell to both children and adults. “You are what you eat” is a truism for foodies, and also for writers—at least those who occasionally use a character’s diet as an avenue into that character’s soul. It works because often there are obvious links between who a person is and the sort of menu choices he or she makes. But can you say the same for, well—an octopus? One of the chief goals of the expedition was to gather information on not just what is eaten by the Pacific day octopus—a species that grows to around three feet across—but why. In other words, what differences exist between individual octopuses and their diets, and what might account for those differences? The expedition’s lead scientist—Dr. Jennifer Mather of Canada’s University of Lethbridge—proposed that any differences might have much to do with personality, just as they do in people, and hence those slate-board sessions with creatures that are shy and reclusive, but also highly intelligent and intensely curious—and therefore sometimes willing to come out and take personality tests. “The Octopus Scientists” will appear from Houghton Mifflin in 2015 as the next in a popular children’s series originated by Montgomery, “Scientists in the Field.” Each book is a sort of expedition into the soul of its animal subject—the snow leopard, for example, or the tree kangaroo, or the goliath bird-eating tarantula—but the books are as much about the scientists who study these animals: who they are and how they go about their work. The most recent in the series, “The Tapir Scientist: Saving South America’s Largest Mammal,” appeared just last month to admiring reviews. In this book Montgomery takes her young readers to Brazil’s Pantanal, a huge expanse of marshland and subtropical forest (“The Everglades on steroids,” said Montgomery), to track one of the world’s most elusive megafauna. Montgomery has a big following among adults as well. Her memoir about the runt pig that she adopted and raised, “The Good, Good Pig” (Ballantine, 2007), hit the New York Times bestseller list. She is also the author more recently of “Birdology” (Simon & Schuster 2011) and “Journey of the Pink Dolphin” (Chelsea Green 2009). Another work-in-progress is a much longer book about octopuses for adults, a book that begins with a giant Pacific octopus Montgomery met at the New England Aquarium in 2011. Her readers will make the acquaintance of octopuses in aquaria on both coasts, sit in on interviews with octopus experts from around the world, and go scuba diving for a week off Mexico. “The Soul of the Octopus” will be published simultaneously with its children’s companion by Simon & Schuster in 2015. In the waters off Moorea, the octopus scientists, as well as Montgomery, collected shells and crab carapaces from outside lairs and went swimming with octopuses on the hunt. Dr. Mather’s hypothesis—“That bolder octopuses would be more varied in their diet,” said Montgomery, “like someone who samples every restaurant in a city”—was just one of the theories tested about octopus behavior, habitat, and personality. In Moorea, for the first time, Montgomery was able to interact with wild octopuses. There she fell even more deeply in love with this other sort of intelligence: creatures who use skin color both to disappear into the background and to express emotion; who have been seen lifting scallop shells in front of their lairs in defense against marauding sharks; who seem to occasionally keep crabs or catfish as pets. Diane Les Becquets, novelist and director of the MFA writing program at Southern New Hampshire University, is proud to include Montgomery among the menu of her faculty members. “We have a strong environmental nonfiction track in our program,” she said, “and having as an affiliate a writer of Sy’s skill, stature, and passion lends that track a unique sort of breadth. She’s also just simply an inspiration to us all. Supervolcanoes, such as the one sitting dormant under Yellowstone National Park, are capable of producing eruptions thousands of times more powerful than normal volcanic eruptions. While they only happen every several thousand years, these eruptions have the potential to kill millions of people and animals due to the massive amount of heat and ash they release into the atmosphere. Now, researchers at the University of Missouri have shown that the ash produced by supervolcanoes can be so hot that it has the ability to turn back into lava once it hits the ground tens of miles away from the original eruption. Evidence of flowing lava hardened into rock found in Idaho several miles away from the site of an 8 million year old supervolcano eruption at Yellowstone. Photo Credit: Graham Andrews, assistant professor at California State University Bakersfield. Following a volcanic eruption, lava typically flows directly from the site of the eruption until it cools enough that it hardens in place. However, researchers found evidence of an ancient lava flow tens of miles away from a supervolcano eruption near Yellowstone that occurred around 8 million years ago. Previously, Graham Andrews, an assistant professor at California State University Bakersfield, found that this lava flow was made of ash ejected during the eruption. Following Andrew’s discovery, Alan Whittington, an associate professor in the University of Missouri department of geological sciences in the College of Arts and Science, along with lead author Genevieve Robert and Jiyang Ye, both doctoral students in the geological sciences department, determined how this was possible. Because the ash should have cooled too much in the air to turn into lava right as it landed, the researchers believe the phenomenon was made possible by a process known as “viscous heating.” Viscosity is the degree to which a liquid resists flow. The higher the viscosity, the less the substance can flow. For example, water has a very low viscosity, so it flows very easily, while molasses has a higher viscosity and flows much slower. Whittington likens the process of viscous heating to stirring a pot of molasses. The volcanic ash from this eruption has to be at least 1,500 degrees Fahrenheit to turn into lava; however, since the ash should have lost some of that heat in the air, the researchers believe viscous heating accounted for 200 to 400 degrees Fahrenheit of additional heating to turn the ash into lava. Robert, Andrews, Ye, and Whittington’s paper was published in Geology. The National Science Foundation funded this research through a CAREER award to Whittington. University of Washington researcher Rajesh Rao, left, plays a computer game with his mind. Across campus, researcher Andrea Stocco, right, wears a magnetic stimulation coil over the left motor cortex region of his brain. Stocco’s right index finger moved involuntarily to hit the “fire” button as part of the first human brain-to-brain interface demonstration. The researchers captured the full demonstration on video recorded in both labs. The following version has been edited for length. On Aug. 12, Rao sat in his lab wearing a cap with electrodes hooked up to anelectroencephalography machine, which reads electrical activity in the brain. Stocco was in his lab across campus wearing a purple swim cap marked with the stimulation site for the transcranial magnetic stimulation coil that was placed directly over his left motor cortex, which controls hand movement. The cycle of the experiment. Brain signals from the “Sender” are recorded. When the computer detects imagined hand movements, a “fire” command is transmitted over the Internet to the TMS machine, which causes an upward movement of the right hand of the “Receiver.” This usually results in the “fire” key being hit. LROC Wide Angle Camera View of Bullialdus crater (60 km diameter). The approximate position of today's NAC featured image is highlighted with the white arrow. Well, for the last several days President Obama and his entire national security team have been reviewing the situation in Syria, and today Secretary of State John Kerry said "I want to provide an update on our efforts as we consider our response to the use of chemical weapons." In his briefing Kerry said, "What we saw in Syria last week should shock the conscience of the world. It defies any code of morality. Let me be clear: The indiscriminate slaughter of civilians, the killing of women and children and innocent bystanders, by chemical weapons is a moral obscenity. By any standard it is inexcusable, and despite the excuses and equivocations that some have manufactured, it is undeniable. At President Obama’s direction, I’ve spent many hours over the last few days on the phone with foreign ministers and other leaders. The Administration is actively consulting with members of Congress and we will continue to have these conversations in the days ahead. President Obama has also been in close touch with the leaders of our key allies, and the President will be making an informed decision about how to respond to this indiscriminate use of chemical weapons. But make no mistake: President Obama believes there must be accountability for those who would use the world’s most heinous weapons against the world’s most vulnerable people. Nothing today is more serious and nothing is receiving more serious scrutiny.Well, for the last several days President Obama and his entire national security team have been reviewing the situation in Syria, and today I want to provide an update on our efforts as we consider our response to the use of chemical weapons. At President Obama’s direction, I’ve spent many hours over the last few days on the phone with foreign ministers and other leaders. The Administration is actively consulting with members of Congress and we will continue to have these conversations in the days ahead. President Obama has also been in close touch with the leaders of our key allies, and the President will be making an informed decision about how to respond to this indiscriminate use of chemical weapons. But make no mistake: President Obama believes there must be accountability for those who would use the world’s most heinous weapons against the world’s most vulnerable people. Nothing today is more serious and nothing is receiving more serious scrutiny." A map of Europe showing an inset of the study area and sites from which the pot residues were acquired;, including also the Near East and northern Africa indicating early contexts where spices have been recovered. Previously scientists have analysed starches which survive well in carbonised and non-carbonised residues to test for the use of spices in prehistoric cooking. But the new research, which is reported in PLOS ONE, suggests that the recovery of phytoliths – silicate deposits from plants -- offers the additional possibility to identify leafy or woody seed material used as spices, not detectable using starch analysis. Phytoliths charred by cooking are more resilient to destruction. Lead researcher Dr Hayley Saul, of the BioArCH research centre at at the University of York, said: "The traditional view is that early Neolithic and pre-Neolithic uses of plants, and the reasons for their cultivation, were primarily driven by energy requirements rather than flavour. As garlic mustard has a strong flavour but little nutritional value, and the phytoliths are found in pots with terrestrial and marine animal residues, our findings are the first direct evidence for the spicing of food in European prehistoric cuisine. "Our evidence suggests a much greater antiquity to the spicing of foods in this region than is evident from the macrofossil record, and challenges the view that plants were exploited by hunter-gatherers and early agriculturalists solely for energy requirements, rather than taste." The research was funded by the UK Arts and Humanities Research Council. The research also involved scientists at the Institució Catalana de Recerca i Estudis Avançats, Institución Milá i Fontanals, Spanish National Research Council, Barcelona, Spain; the Danish Agency for Culture, Copenhagen, Denmark; the Institute of Prehistoric and Protohistoric Archaeology, University of Kiel, Kiel, Germany. And Stiftung Schleswig-Holsteinische Landesmuseen, Schloβ Gottorf, Schleswig, Germany. Key to map: a) Menneville, France (Papaver somniferum L.), b) Eberdingen, Germany (Papaver somniferum L.), c) Seeberg, Switzerland (Papaver somniferum L.), d) Niederwil, Switzerland (Papaver somniferum L.), e) Swiss Lake Villages, Switzerland (Anethum graveolens L.), f) Cueva de los Murcielags, Spain (Papaver somniferumL. ), g) Hacilar, Turkey (Capparis spinosa L.), h) Tell Abu Hureya, Syria (Caparis spinosa L.), i) Tell ed-Der, Syria (Coriandrum sativum L. and Cuminum cyminum L.), j) Khafaji, Iraq (Cruciferae family), k) Tell Aswad, Syria (Capparis spinosa L.), l) Nahal Hemar Cave, Israel (Coriandrum sativum L.), m) Tutankhamun's tomb, Egypt (Coriandrum sativum L.), n) Tomb of Kha, Egypt (Cuminum cyminum L.), o) Tomb of Amenophis II, Egypt (Anethum graveolens L.), p) Hala Sultan Tekke, Cyprus (Capparis spinosa L.), q) Heilbronn, Germany (Papaver somniferum L.), r) Zeslawice, Poland (Papaver somniferum L.) [compiled using 8–17]. B) Hunter-gatherer pointed-based vessel (on the left) and Early Neolithic flat-based vessel (on the right). C) Scanning Electron Microscope image of a globular sinuate phytolith embedded in a food residue, D) optical light microscope image of modern Alliaria petiolata globular sinuate phytoliths, and E) optical light microscope image of archaeological globular sinuate phytolith examples. The Chelyabinsk meteorite either collided with another body in the solar system or came too close to the Sun before it fell to Earth, according to research announced today (Tuesday 27th August) at the Goldschmidt conference in Florence. A team from the Institute of Geology and Mineralogy (IGM) in Novosibirsk have analysed fragments of the meteorite, the main body of which fell to the bottom of the Chebarkul Lake near Chelyabinsk on 15 February this year. Although all of the fragments are composed of the same minerals, the structure and texture of some fragments show that the meteorite had undergone an intensive melting process before it was subjected to extremely high temperatures on entering the Earth's atmosphere. "The meteorite which landed near Chelyabinsk is a type known as an LL5 chondrite and it's fairly common for these to have undergone a melting process before they fall to Earth," says Dr Victor Sharygin from IGM, who is presenting the research at the Goldschmidt conference. "This almost certainly means that there was a collision between the Chelyabinsk meteorite and another body in the solar system or a near miss with the Sun." Based on their colour and structure, the IGM researchers have divided the meteorite fragments into three types: light, dark and intermediate. The lighter fragments are the most commonly found, but the dark fragments are found in increasing numbers along the meteorite's trajectory, with the greatest number found close to where it hit the Earth. The dark fragments include a large proportion of fine-grained material, and their structure, texture and mineral composition shows they were formed by a very intensive melting process, likely to have been either a collision with another body or proximity to the Sun. This material is distinct from the 'fusion crust' - the thin layer of material on the surface of the meteorite that melts, then solidifies, as it travels through the Earth's atmosphere. "Of the many fragments we've been analysing, only three dark samples show strong evidence of earlier metamorphism and melting," says Dr Sharygin. "However, many fragments of the meteorite were picked up by members of the public, so it's impossible to say how large a portion of the meteorite was affected. We hope to find out more once the main body of the meteorite is raised from Chebarkul Lake." The fine-grained material of the dark fragments also differs from the other samples as it commonly contains spherical 'bubbles' which are either encrusted with perfect crystals of oxides, silicates and metal or filled with metal and sulfide. Surprisingly, the IGM team also found small quantities of platinum group elements in the meteorite's fusion crust. The team are only able to identify these elements as an alloy of osmium, iridium and platinum, but its presence is unusual as the fusion crust is formed over too short a time period for these elements to easily accumulate. "Platinum group elements usually occur as trace elements dispersed in meteorite minerals, but we found them as a nanometer-sized mineral (100-200 nm) in a metal-sulfide globule in the fusion crust of the Chelyabinsk meteorite," explains Dr Sharygin. "We think the appearance (formation) of this platinum group mineral in the fusion crust may be linked to compositional changes in metal-sulfide liquid during remelting and oxidation processes as the meteorite came into contact with atmospheric oxygen." The findings are part of ongoing research into the meteorite, using a scanning microscope, electron microprobe and gas chromatography-mass spectrometry, through which the IGM team are producing a detailed mineral analysis of the Chelyabinsk meteorite. Scientists at The Scripps Research Institute (TSRI) have found a way to apply a powerful new DNA-editing technology more broadly than ever before. “This is one of the hottest tools in biology, and we’ve now found a way to target it to any DNA sequence,” said Carlos F. Barbas III, the Janet and Keith Kellogg II Chair in Molecular Biology and Professor in the Department of Chemistry at TSRI. The breakthrough concerns a set of designer DNA-binding proteins called TALEs, which biologists increasingly use to turn on, turn off, delete, insert or even rewrite specific genes within cells—for scientific experiments and also for potential biotech and medical applications, including treatments for genetic diseases. TALE-based methods had been considered useful against only a fraction of the possible DNA sequences found in animals and plants, but the new finding removes that limitation. Barbas and his team report their finding on August 26, 2013 in an advance online edition of the journal Nucleic Acids Research. Molecular biologists have long dreamed of being able to manipulate DNA in living cells with ease and precision, and by now that dream is nearly a reality. TALE-based designer proteins, introduced just a few years ago, are arguably the most user-friendly and precise DNA-directed tools that have yet been invented. Designer TALEs (transcription-activator-like effectors) are based on natural TALE proteins that are produced by some plant-infecting bacteria. These natural TALEs help bacteria subvert their plant hosts by binding to specific sites on plant DNA and boosting the activity of certain genes—thereby enhancing the growth and survival of the invading bacteria. Scientists have found that they can easily engineer the DNA-grabbing segment of TALE proteins to bind precisely to a DNA sequence of interest. Typically they join that DNA-binding segment to another protein segment that can perform some desired function at the site of interest—for example, an enzyme fragment that cuts through DNA. Collectively the Barbas laboratory and others in this field have already engineered thousands of these powerful TALE-based DNA-editing proteins. However, TALE-based DNA-editing has been seen to have a significant limitation. Virtually all the natural TALE proteins that have been discovered so far target sequences of DNA whose transcription begins with the nucleoside thymidine—the letter “T” in the four-letter DNA code. Structural studies have hinted that natural TALE proteins can’t bind well to DNA without that initial T. Molecular biologists thus have widely assumed that the same “T restriction” rule applies to any artificial TALE protein they might engineer. “Yet no one has investigated thoroughly whether that initial thymidine is truly required for the variety of TALE designer proteins and enzymes that now exist,” said Brian M. Lamb, a research associate in the Barbas Laboratory who was first author of the new study. Lamb started by evaluating how well TALE-based proteins function against their usual DNA targets when the first DNA letter is switched from a T to one of the other three nucleosides (A, G or C). Using a library of natural and engineered TALE proteins, he found strong evidence in favor of the “T restriction” rule. “There was an orders-of-magnitude difference—some of the TALE proteins we evaluated lost as much as 99.9% of their activity when we changed that first nucleoside base,” said Lamb. But he wasn’t ready to give up on the possibility of designing more broadly useful TALE proteins. For this he adapted a “directed evolution” technique developed last year by Andrew C. Mercer, who at the time was a research associate in the Barbas laboratory. First, Lamb generated a large library of novel TALE proteins that vary randomly in the structures they hypothesized to grab the initial nucleoside. He then put these new TALEs through a series of tests, to select—in a speeded up version of natural evolution—those that work adequately even with a non-T nucleoside at the start of their target DNA sequence. In this way, he found several new TALE protein architectures that aren’t held back by the T restriction. One prefers to bind to DNA that begins not with a T nucleoside but with a G (guanosine). Others bind well enough to sequences that start with any of the four DNA nucleosides. Lamb found that these non-T-restricted TALEs work as designed when conjoined, for example, to DNA-cutting enzyme fragments. “Essentially we abolished the T requirement,” said Lamb. “That means that the number of DNA sites we can target with TALE-based proteins, and the precision with which we can target within any given gene, have gone up dramatically,” Barbas said. He and his team plan to follow up the discovery mostly by using the new unrestricted TALE-based proteins as tools for developing potential gene therapies. But the removal of the “T restriction” on TALE-based DNA editing should have a positive impact also on basic molecular biology, biotechnology, stem cell medicine, and nanotechnology when they are combined for example with DNA origami. Indeed any application that requires the manipulation of DNA in living cells or even the construction of protein-DNA machines should benefit from this breakthrough. “The number of potential uses of this technology is probably more than any one person can imagine,” Barbas said. The Elysium film has reignited interest in the concept of human settlers living off the surface of our planet inside enormous space stations and extensive colonies. Film director Neill Blomkamp's Elysium colony was artistically portrayed as a gigantic toroidal structure, one of the most common design concepts depicted in imaginative illustrations produced over many decades. Part of the rim of a toroidal space colony, including nearby space vehicles. Space theorists predict that the first space settlements will be designed to orbit Earth, preceding those that will spread out across the solar system to take advantage of water discovered on other planetary bodies and resource materials available on sizable asteroids. Double cylindrical colony: exterior view. Rick Guidice, mid-1970s. Regardless of their placement, each space-based settlement will need to be engineered, constructed and operated as an independent biosphere in which all water, oxygen and waste material must be infinitely recycled. Since its inception in 1994, the NASA Space Settlement Contest has given thousands of students the opportunity to conceive their own space settlement design, using their skills in art, science, technology, engineering, and mathematics. All entries are judged in a single day. In addition to the prestige that comes with winning the contest, winners are invited by contest founder and organizer Al Globus to visit NASA Ames Research Center in Mountain View, California. "Hyperion Space Settlement," 2011 Grand Prize. Punjab, India. Design team: Gaurav Kumar, Deepak Talwar, Harman Jot Singh Walia, Mahiyal B. Singh, Kaenat Seth, Ishaan Mehta, and Navdeep Singh Makkar. The team also won the NSS Bruce M. Clark, Jr. Memorial Space Settlement Award. The NASA Space Settlement Contest has continued to benefit the global public for almost twenty years. The project has been sustained by the efforts of dedicated NASA Ames personnel, and by making cost-effectiveness a top priority. Educational materials are provided for students around the world at little to no cost, much of it consisting of public domain content available online. Participants benefit from the responsibility and demands of this prestigious competition. The students who enter the contest become deeply committed to their projects, and working out their designs requires them to develop their STEM skills and artistic talents to the fullest extent. Aresam," 2010 Grand Prize. Durango High School. Colorado, United States. Design team: The Durango Aerospace Design Team under the instruction of Mr. Daniel Gamer. Most entries are submitted by participants from the United States, although a sweeping number of grand prize winners are from other countries, most notably Romania. All entries must be submitted in English, but despite this barrier, Romania won or tied for the grand prize in 2003, 2004, 2005, 2007, and 2008. This can be partly attributed to winning entries from Horia-Mihail Teodorescu, quoted above, who won in both 2003 and 2005, but credit should also be given to his advisor and father, Prof. Horia Nicolai Teodorescu, who has made participation in the NASA Space Settlement Contest a major activity in Romania. Developing new ideas for space settlements is an effective way to unite STEM skills and the arts into an engaging and inspirational curriculum. A large project such as designing a space habitat gives students the opportunity to embrace learning and claim ownership on the knowledge they have acquired. It is NASA's hope and intention that the Space Settlement Contest will continue to inspire the next generation of scientists and engineers from all over the world for many years to come. Over the last 26 years, NASA's Ames Research Center in Silicon Valley, Calif., has organized a global Space Settlement Design Contest to encourage students around the world to tackle the many challenging issues critical to designing habitable space colony environments and transportation systems.